It’s that time of year that brings out a mix of the true romantics, the annual big-gesture-makers and the anti-Valentines. I am one of those in awe of true love and happy relationships and I adore romance, but I have always been able to take or leave February 14th. I’m not cynical of it because, to me, any event which promotes people being good to each other is wonderful! I also believe that if you are going through divorce, Valentine’s day can be a great opportunity for reflection. It’s very easy to get caught up in expectations of how you should feel when you going through a break-up on Valentine’s day. Some use ‘anti-hype’ about the day to remind themselves that it’s really no big deal. Others fully feel the pain of the constant reminder that they aren’t in a couple any more. Some people feel nothing at all – it’s just another day. Whatever you feel about Valentine’s day is fine. 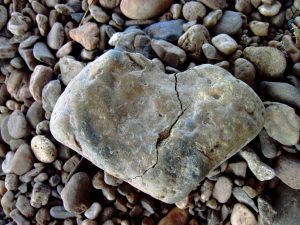 V-day and it’s magnification of coupledom can be a sad and lonely time for those recently broken up; if you need to take time out to cry and grieve your lost relationship then do it. Like any day where feelings of loss might be amplified, be kind to yourself. Keep your perspective, and remind yourself that you won’t be grieving forever. But you can also use this day of love as a way to help yourself. As with everything I’ve learned about life since divorce, it’s all about how you look at. Instead of seeing Valentine’s day as the enemy, allow it to bring you face to face with your heartache and use the opportunity to reflect and move your healing on a little further. Here’s how to use Valentine’s day as a gift to yourself. 1. Firstly use the gift of perspective. Remember it’s just a day on the calendar and don’t let the significance of February 14th become all-consuming. Several years ago, for the first time ever, I didn’t have my children with me on Christmas day, arguably the biggest family day of the year. When the decision was first made, I felt a deep sadness for a while, but looked to other ways to make December 25th special for myself. I had a perfect enough day, and when the children came home on December 26th we had Christmas again! It’s not the date that’s important, but how you choose to feel about it. 2. Remember that your imagination can be your own worst enemy. A special international day for lovers makes you feel like everyone in the world is cosying up and being loved except you. It’s not really like that though. Some people are deeply in love and barely acknowledge the day. Others mark the day with a gesture but no real fulfillment in their relationship. Don’t compare yourself with others, because what you picture may often not be the reality – there’s often so much more going on which we can never know. 3. Yes, there will be some people in fantastic relationships, but instead of feeling envy for them, see them as a mark of what’s possible. Very few people find the love of their lives with out some heartbreak along the way. For some, admittedly, the journey is more difficult than for others, but people in great relationships have had to learn lessons about themselves and their partners along the way. Use Valentine’s day as an opportunity to create a vision of the kind of relationship you’d like to have. You honestly can learn to see your heartbreak as a necessary event to get you to the love you truly deserve. 4. Fall in love with yourself! Or at least treat yourself the way you would like a partner to treat you. If you don’t think that buying a gift for yourself, or spending time on you, or even giving yourself some loving thoughts is a worthwhile exercise, then how can you expect anyone else to ever feel that way about you? It might not feel like it right now, but you are a whole, worthwhile person with or without a partner. If you are going through a break-up right now, what things make you feel better about Valentine’s day? Does it hold any significance for you? Share in the comments below, your thoughts may just help someone get through a difficult day.